Tamera Mowry is a German-born American actress, TV host, businesswoman, singer, author, and model. She first charmed the audience for her teen role in the ABC/WB sitcom Sister, Sister. The actress has since appeared in more movies than one. Read more about her journey in Hollywood below. Tamera was born Tamera Darvette Mowry on July 6, 1978. She attended Birmingham High School in Van Nuys, California and furthered her studies at Pepperdine University where she studied psychology. She also spent some time at Pepperdine’s Italian campus in Florence. Her nationality is American but she is of mixed descent as her father is English while her mother is of Afro-Bahamian descent. 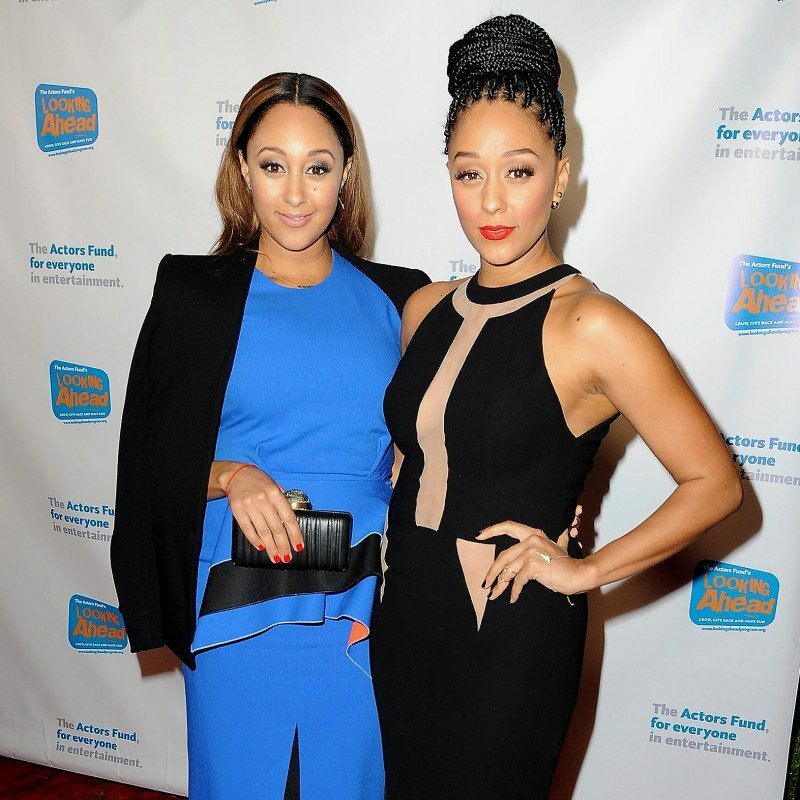 Tamera has an identical twin sister named Tia Mowry. The two can be distinguished by the mole on Tamera’s cheek. The twins were born two minutes apart in Gelnhausen, old West Germany since their father was in the armed services stationed in Germany. The twins’ parents, Darlene Renee Mowry and Timothy John Mowry served in the U.S Army. Timothy retired and became a police officer in Califonia while Darlene worked as a security guard and managed her children career. The couple met while in high school in Miami, Florida. They both joined the U.S Army and climbed to the rank of sergeant after some time. The twins have two younger brothers Tahj Mowry, an actor, and Tavior Mowry. As a teenager, Tavior represented the University of California, Davis in college football. The family is close-knit and deeply religious. On this account, Tamera and her sister became born-again Christians at age 8 and has stayed so since then. Tamera Mowry started her journey to stardom in the early 1990s when she and her identical twin sister, Tia Mowry joined a singing group called Voices. The group released their first single, “Yeah, Yeah, Yeah!” in 1992. Fortunately, the song charted No.72 on the Billboard Hot 100. The actress, nonetheless, gained ear-splitting fame for playing Tamera Campbell on the ABC/WB sitcom Sister, Sister alongside her identical twin sister Tia Mowry. After their hit series which lasted for five years, Tamera played an active role in the 2005 Disney Channel Original Movie Twitches and its sequel, Twitches Too. Next was a role in a medical drama that threw light on feminist politics, health issues and class conflict titled Strong Medicine where she played Dr. Kayla Thornton. In 2011, the twins started a reality TV show that kept up with their lives. The show aired on the Style Network and ended in 2013 after three seasons. Among the many famous works she has done are The Adventures of Hyperman, Detention, Talking Dead, and Hollywood Darlings. Tamera was also among the actresses in the cast of Double Wedding, Seventeen Again, Redemption of a Dog and more. The twin-star also voiced Esther in Family Guy. Currently, the older twin’s career has reached new heights. She started hosting The Real talk show since July 15, 2013, till date. Tamera Mowry has been nominated for many remarkable awards including Daytime Emmy Award Outstanding Entertainment Talk Show Host in 2016 and 2017. She finally won it in 2018. She has also won multiple NAACP Image Award and Nickelodeon Kids’ Choice Award. The star from an interracial family is making a huge plan to take over the big screen soon as recent reports show that Tamera will be starring alongside her husband Adam and their two kids in a special episode to premiere in May, HGTV. While the Mowry-Housely crew’s show is expected to air soon, Tia, Tamera’s twin sister also revealed that she and her sister are actively trying to get a reboot of their 90’s sitcom Sister, Sister in the works. Apart from being on TV, Tamera and her sister have found time to work on various projects together. The twins planned to start a project, Need Brand that would cater to mothers. The two main products of the project include Milky and Stretchy. Milky! is a 2.5 oz. bottle with all organic ingredients that can help mothers produce milk while Stretchy! is a stretch mark cream for post-operation scars. The two Sister, Sister stars have also written a two-book series called Twintuition: Double Vision and Twintuition: Double Trouble. Away from TV, Tamera Mowry is also a mother and a wife. Before her marriage, the beautiful actress saved her virginity for long because she comes from a very religious background and is a Christian who believes in her doctrines. According to her statement in 2013, she lost it at age 29 out of carelessness and that is a mistake for which she became guilt-ridden. Consequently, the star who has partnered with Febreze for the “One Happy Home” campaign took the vow of chastity and stayed celibate until marriage. 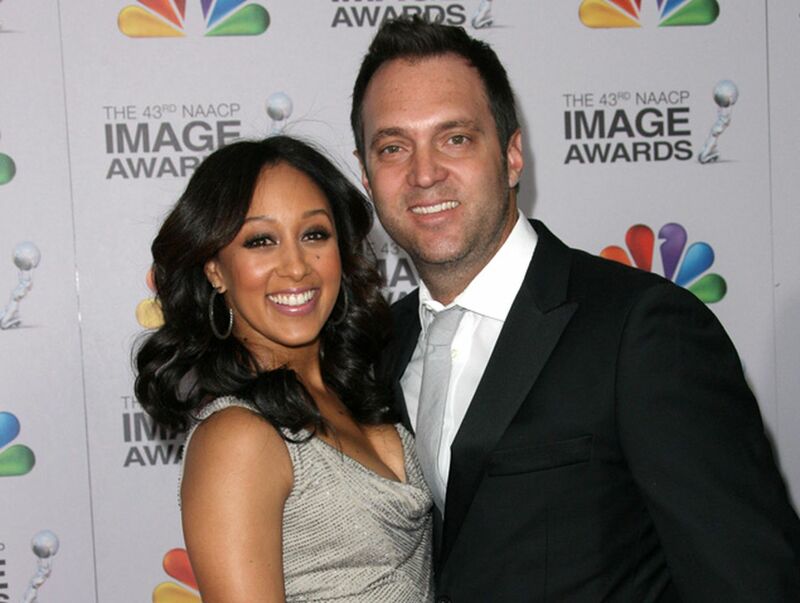 Tamera dated FOX News Correspondent Adam Housley for six years and the duo tied the knot in 2011 after a 10-month long engagement. The ceremony took place in Califonia’s Napa Valley. They have two children, a boy, Aden John Tanner Housley and a girl, Ariah Talea Housley.